It turns out that both Apple and Amazon had INCREDIBLE holiday seasons. Apple beat analyst expectations reporting $88.3 billion in quarterly revenue. Apple also reported that iPhone X sales were slower than they planned. They sold 77.3 million new iPhones as opposed to the 80 million that Wall Street expected. But even with the slow iPhone sales, the performance report was enough to send Apple's stock up 3% in after-hours trading. And then there's Amazon. Amazon reported quarterly revenue of $60.5 billion which is about $1 billion more than analysts were expecting. The company's cloud service AWS saw income grow by a whopping 46%, accounting for 73% of Amazon's total profits for the quarter. It was an all-around crush. Amazon's stock is up 6.5% in after-hours trading, lifting the company's market cap to an all-time high. With the jump, Amazon founder Jeff Bezos saw his net worth increase to $123 billion. 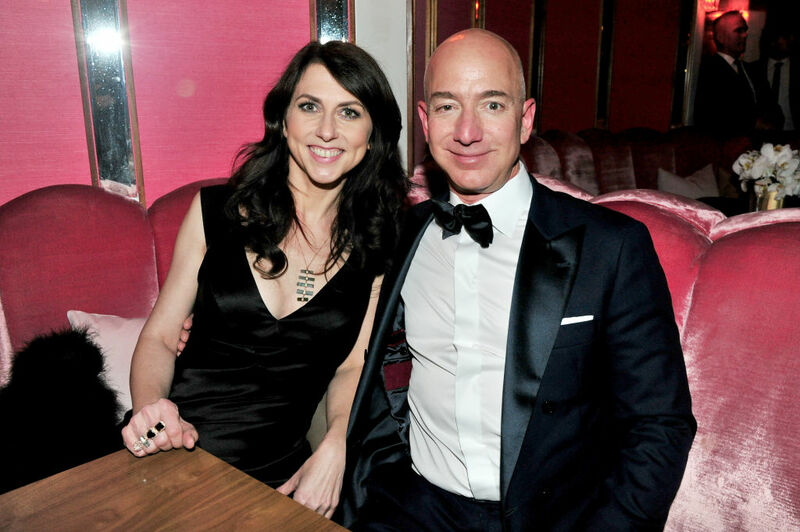 FYI, Bezos' net worth increased by $17.5 billion in January alone. Technically speaking, Jeff Bezos' $123 billion fortune is the largest non-inflation-adjusted fortune in human history. He is the first person to control $123 billion in modern, accountable assets and dollars. Jeff's $123 billion tops the record set by Bill Gates in 1999 when at the peak of the dotcom bubble the Microsoft founder's net worth hit $101 billion. That $101 billion is worth $140 billion today after adjusting for 20 years of inflation.People like John D. Rockefeller, Andrew Carnegie died with fortunes in the several billions. Less than $10 billion. But after you adjust for inflation, they were worth $340 billion and $310 billion respectively. And then of course there are historical figures like Mansu Musa whose fortune was so large it is almost immeasurable. Other tech billionaire fortunes were affected by their respective earning reports. Mark Zuckerberg's net worth increased $2.5 billion. The Google boys Larry Page and Sergey Brin both lost around $3 billion.